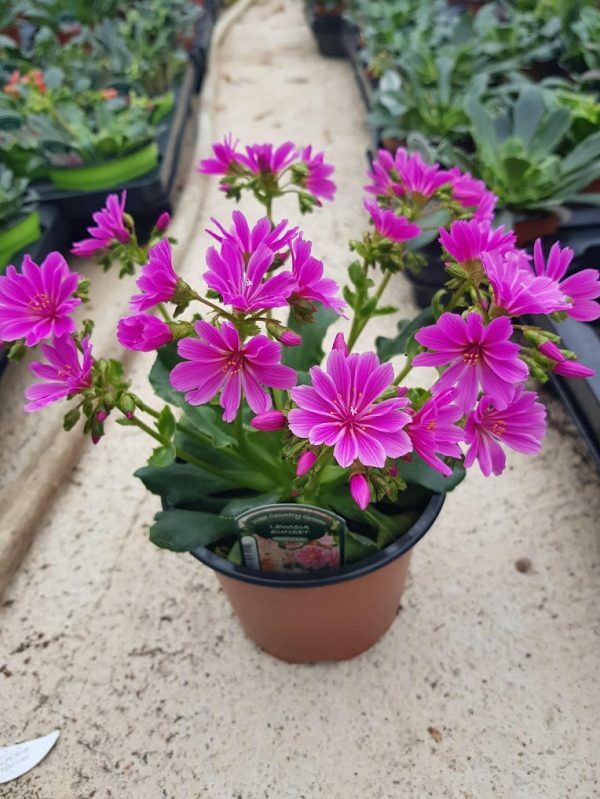 LEWISIA MIXED | MG Webber West Country Grown Ltd.
Lewisia is a semi-ever green perennial producing striking spike-like flowers over dark green foliage. Each leaf forms in a spoon-like shape and is fleshly to touch. 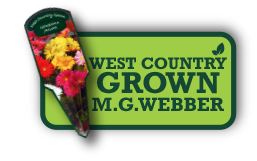 Comes in a colour range of salmon, orange, rose, pink and yellow flowers. 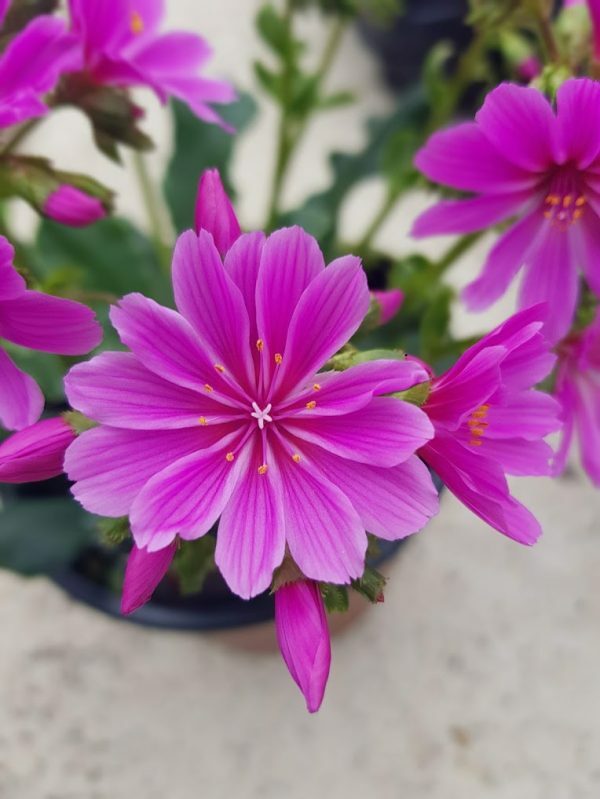 Often, if you look closely, you can see that each flower has little white strips running throughout the flower. 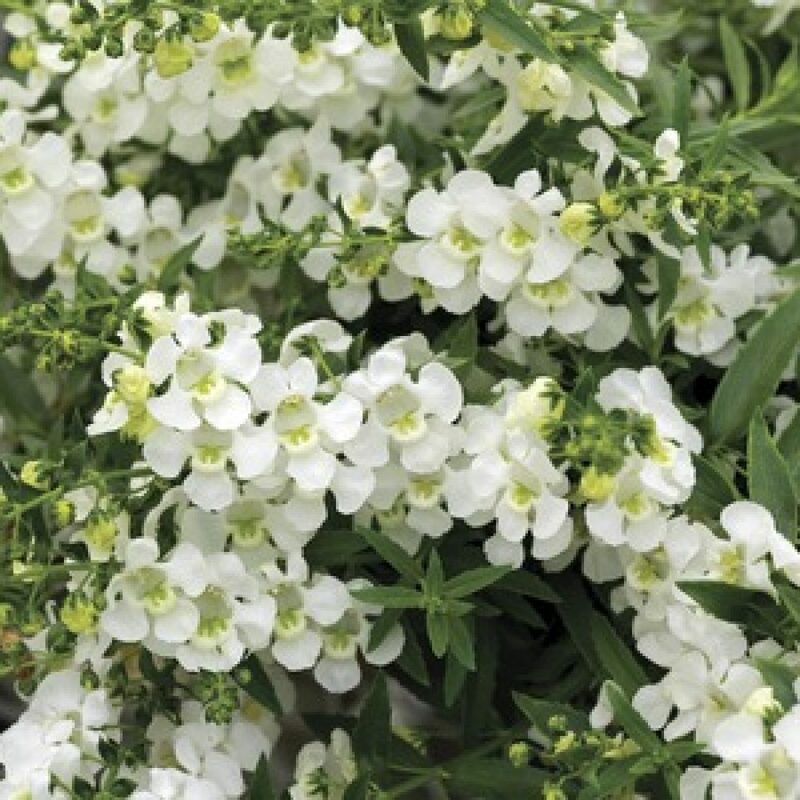 A real showstopper in gardens as is produces such vibrant, spectacular flowers in spring. 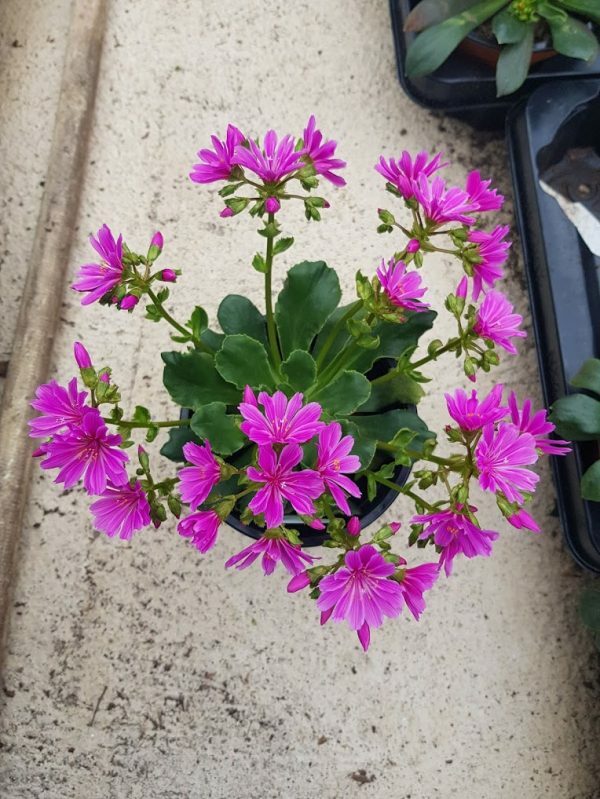 Our lewisia is always grown the previous year so it is wintered and used to the climate.